The camera tripod fits all still and video cameras with a standard tripod mounting hole. The tripod is the ideal camera accessory for photographers who like adventure. 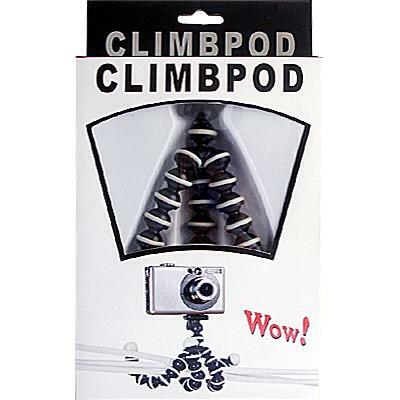 With this tripod you are ready for countless pictures opportunities in the wildest of locations. The tripod serves all the functions of a traditional camera tripod for example steadying your camera under low light conditions and taking timed group shots. 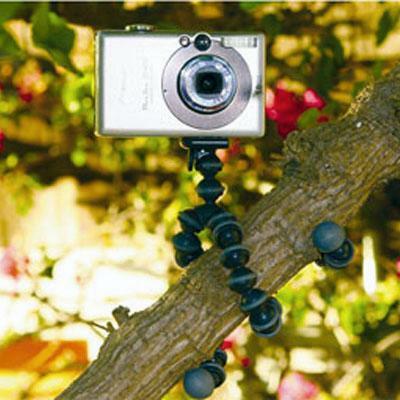 The tripod is flexible enough to provide you with the perfect shot while wrapped around a tree branch, hanging from a pole, or perched on a jagged rock.